IPS Director of Research, Nisha Arunatilake, was a discussant to the session on ‘People to People Connectivity through Multi-sectoral Engagement’ of the Delhi Policy Group Regional Conference on Advancing BIMSTEC Cooperation. 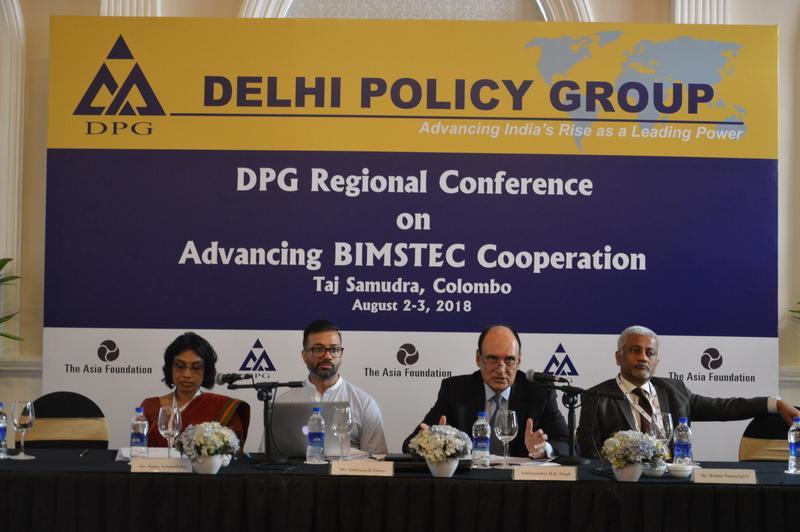 The event, organised by the Delhi Policy Group, with funding from The Asia Foundation, was held 03 August 2018, at the Taj Samudra Hotel in Colombo. The event discussed different ways in which diverse stakeholders can be mobilised to facilitate people to people connectivity in the Bay of Bengal Initiative for Multi-Sectoral Technical and Economic Cooperation (BIMSTEC) countries for achieving mutually beneficial goals such as cultural cooperation and poverty alleviation. 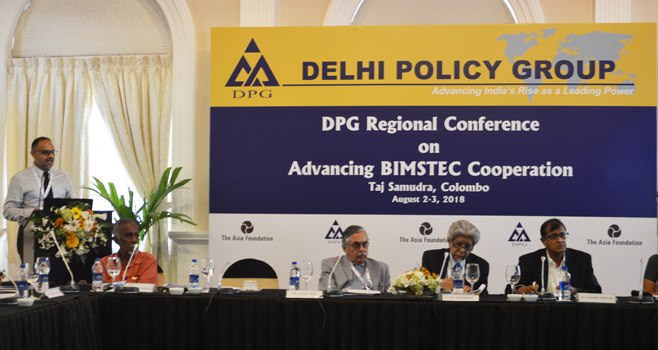 IPS Research Fellow, Janaka Wijayasiri, made a presentation during the session ‘Trade and Economic Integration’ on the Challenges to a BIMSTEC Free Trade Agreement, which is under negotiations. He provided a Sri Lankan perspective in this regard. He remarked that BIMSTEC is one of the many trade agreements in the region that Sri Lanka has signed up to and Sri Lanka already has market access to a number of BIMSTEC partner countries through these agreements.